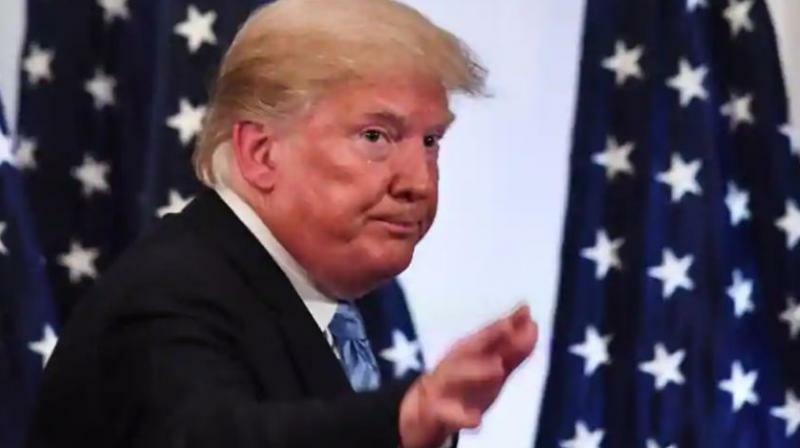 A US judge on Monday temporarily blocked an order by President Donald Trump that barred asylum for immigrants who enter the country illegally from Mexico, the latest courtroom defeat for Trump on immigration policy. US District Judge Jon Tigar in San Francisco issued a temporary restraining order against the asylum rules. Tigars order takes effect immediately, applies nationwide, and lasts until at least December 19 when the judge scheduled a hearing to consider a more longlasting injunction. Representatives for the US Department of Justice could not immediately be reached for comment. Trump cited an overwhelmed immigration system for his recent proclamation that officials will only process asylum claims for migrants who present themselves at an official entry point. Civil rights groups sued, arguing that Trumps November 9 order violated administrative and immigration law. In his ruling, Tigar said Congress clearly mandated that immigrants can apply for asylum regardless of how they entered the country. The judge called the latest rules an extreme departure from prior practice. Whatever the scope of the Presidents authority, he may not rewrite the immigration laws to impose a condition that Congress has expressly forbidden, Tigar wrote. Gelernt said the ACLU had recently learned Mexican authorities have begun barring unaccompanied minors from applying at US ports of entry. Mexicos migration institute said in a statement to Reuters that there was no basis for the ACLUs claims, noting that there had been no such reports from the United Nations or human rights groups that are monitoring the situation at the border. Uriel Gonzalez, the head of a YMCA shelter for young migrants in Tijuana, said he had not heard of any new measures directed at unaccompanied minors. He noted there were already long lines to get a turn with US authorities. This can take a while because the number of migrants has overwhelmed capacity. It is too much, he said. The judge on Monday wrote that Trumps refugee rule would force people with legitimate asylum claims to choose between violence at the border, violence at home, or giving up a pathway to refugee status. Caravan participants began to arrive last week in Tijuana on the Mexican side of the US border, which has put a strain on shelters where many will wait to seek asylum. Their presence has also strained Tijuanas reputation as a welcoming city, with some residents screaming at the migrants, Get out!